You must be either ‘Snapoholic’, ‘Photogenic’, or ‘Photo-holic’. Yes, people love to take photographs and it’s a ‘Selfie-Era’. Users check the camera specifications first before purchasing any smart-phones. But, when it comes to iPhone, then undoubtedly it’s awesome. Camera Apps are one of the exigent features in any smart phones, and as it is iPhone, the talk is always exaggerated, especially if you are naive to iPhone photography. There has always been a debate over its use; some says that it needs a manual to use while for some it is simple and easy. It certainly becomes hard to know which camera apps are best for iPhone. Facebook, Snapchat, Instagram, FLickr, Tumblr, Pinterest and other many social media is flooded with thousands of pictures everyday. It’s because the camera in the smart-phones have replaced the ‘Point and Shoot’ and ‘SLR’ cameras. Moreover, iPhone is known for its clean, distortion free and neat photos. The iPhone has consistently ranked higher as the camera users took the most pictures with. In fact, if you want something a bit more sophisticated to get more artistic control over your images, we have selected some top-rated camera apps you can get on the Apple App Store right now. These apps will help you explore the periphery of the extremities in the mobile’s photography. Every apps perform its specific task but just for the good reason, they are different from each other. 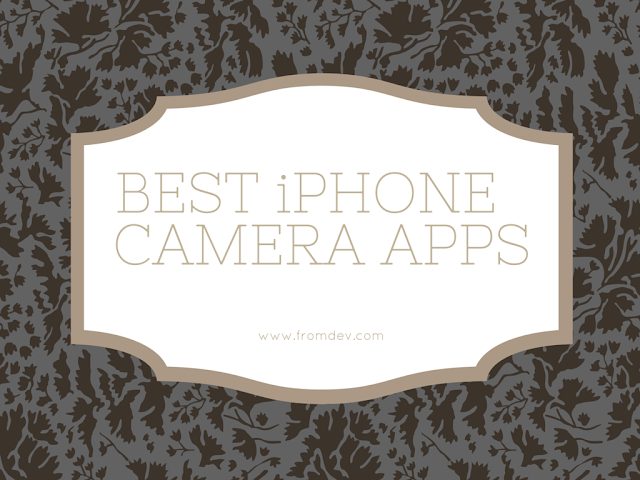 A good suggestion would be to check out below apps which are short-listed as the best, and then pick your favorites.Well, to be succinct, there are very few selected camera apps which you will find in your app store. Let’s discuss some of the all-time and favorite iPhone Camera Apps which not only takes photos but edits it beautifully. It is advised to cross-check the pricing of the apps because they may fluctuate. Photoshop, a vivid app, allow users to fine-tune contrast, brightness, saturation and highlight any part of the photos. Irrespective of some basic adjustments, the app, also known as the mobile photo-shop, comes with full fledged filtering effects just as its desktop app. Moreover you can apply creative blur to any portion of the picture, giving it an intentional hazy but howling effect. One of the best features of this app is that it lets you remotely edit images stored on Adobe's Creative Cloud. ProCamera 8 offers all of the features of the native camera app, in addition to the broad set of tools that offer users even more control. It has little more control over their images compared to other apps. Fully-manual exposure control, image stabilization, adjustable shooting grids, and an innovative HDR mode are main features of this app. This app puts up a significant editing tools for processing any images afterwards. It can also save the photos in TIFF format if you want super high quality images. It cost $4.99 on the App Store, but the users are satisfied with the cost involved since they are contented with this iPhone camera app features. Let’s talk about classical movie looks. Yes, the type of photos we all adore. VSCO Cam fits under this category. There's no other app that comes with as many fantabulous film simulations as VSCO Cam. This feature adds more feathers to its cap since it makes you feel like a Hollywood star (in photos only). VSCO Cam is pretty good with exposure and adding film grains to the photos. With the app, color shifting filters and desaturation becomes very easy. If you want a simple but better image editor that also offers some great filter effects, VSCO Cam it is. The Hipstamatic app, a simple and powerful app, essentially a camera app designed to mimic the effect of different types of vintage and modern films, lenses and flash. It opens the way to create stunning images in a wide variety of styles by using different combinations of wide range of various photographic effects. The new version of this app allows you to change your chosen combos even after you’ve taken the shot. That’s fantastic. Hipstamatic comes with a basic collection of film, lens and flash options. It is paid app worth $2.99 on the App Store. Furthermore, you get the option to purchase plenty of additional films, lenses and flashes as in-app purchases. Piexelmateor is a cool camera app for just $5 that has dozens of innovative ways to edit the original pictures. Since this app employs a unique UI, it is bit confusing and cluttered. This is easily negotiated when the users get acquainted with the magnificent editing pack. It is the beautiful blend of intuitive interface and powerful features that it caters to the users. Just like Pro Camera 8, Camera+ is another combined camera and photo editing app, offering many unique features that allows it to stand apart from the crowd. The camera section of the app gives you full manual control of exposure settings, that is one heaven of the feature. With digital zoom to create a macro effect, it also simulates the extreme close-up effect of macro photography. Camera+ has a huge range of tools for editing and enhancing your images. There are automatic preset adjustments, manual slider adjustments for color, exposure, and sharpness, rotating, and straightening. The unique feature of this app is that it previews how each filter effect will appear on your image before you apply it. You can easily layer up multiple filters and adjust their intensity. 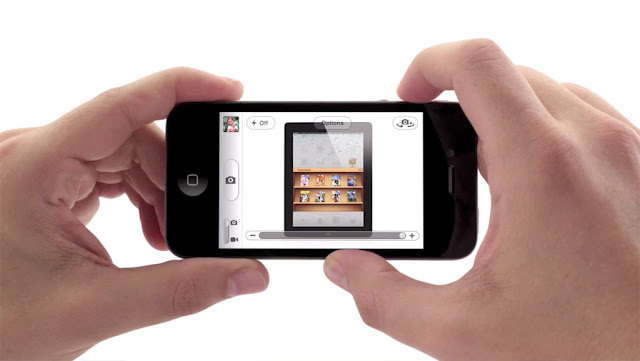 Camera+ sells for $2.99 on the App Store. Worth, isn’t it? If you ask ten iPhone photographers, 8 out of 10 would recommend Snapseed in their list. Snapseed is powerful iPhone camera app and free to use, allowing you to change the brightness, contrast and color saturation of only select portions of an image. The app offers some special effect filters- grunge and vintage effects. It includes a unique Selective Adjustment tool and a highly noticed interface where most adjustments can be done by simply sliding your finger up, down, left and right to adjust the level. TouchRetouch offers one unparalleled ability to remove unwanted elements from a photo by simple scrolling of fingers. TouchRetouch sells for $1.99 on the App Store but it is justified when users avail the finest features of it. You can also duplicate objects by cloning them to another area of the image. Removing more complicated elements may take a few tries to get it perfect, but this app makes it easy to begin from the start if you aren’t satisfied with the results the first time. Worth $0.99, AfterFocus app imitate the shallow depth of field effect that can only be achieved with a larger camera or multi-element lens. Shallow depth of field is really a splendid effect in which the main subject is in focus and the background is blurred. You can even add a natural-looking bokeh effect where the background highlights are depicted as hexagons or small circles. ‘AirSnap’, one of the most talked feature of Camera Plus, lets the users install it even though it is priced $1.99 in the app store. For $1 more, you can add a privacy lock to your photos if you'd like. It offers three different distinct focus modes: macro, normal, and far. There are lots of manual controls to play with but hands down, my favorite feature of Camera Plus is With AirSnap, you can capture images remotely. If you want unique features such as AirSnap, focus shift videos, Camera Plus is everything you could possibly desire. Alfred Beiley is an app developer, mobility strategist and blogger at 360 Degree Technosoft, a leading mobile app development company. He loves to write on mobile technology.